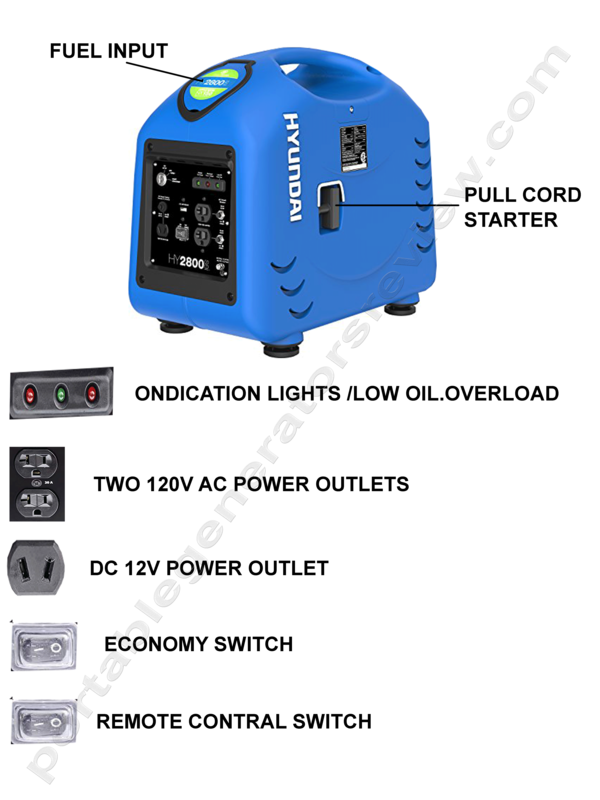 In today’s world, the inverter generators are really popular with their way of delivering power as well as portability. If you are thinking that one of these will cost you heaps of money, you are wrong. 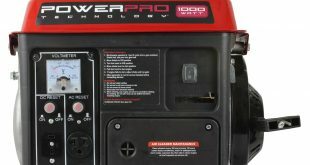 Not all portable generators are pricey. One of the less pricey generators is the Hyundai HY2000siCa portable Generator, which will grant you 2000 watts of power. In this review, we are going to shed light over few of its great features that may come handy. That’s true. The Hyundai HY2000siCa Generator has a powerful engine for a portable generator. The generator is of 125CC capacity. It is a 4-stroke OHV Engine with 3.8 HP and 5500 RPM. It has only one cylinder but that is understandable. It will provide people with 2000 watts of steady power and 2200 watts of power surge. The generator is good for larger appliances of your home unlike some of the other portable generators. You can power your PC or a Flatscreen HDTV with it. It even comes good when you are running the fridge or a 1000-watt heater. You can even function a microwave oven with it. 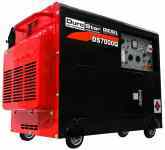 The generator can give you a limited but steady supply of power during emergencies as well. This is an inverter-generator with a 7-liter gas tank. 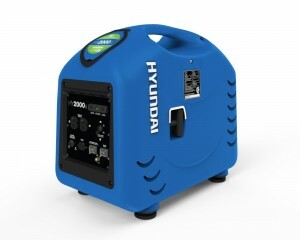 The Hyundai HY2000siCa portable Generator uses unleaded gasoline as fuel. You can run it for 5.5 hours at 50% of the load.The generator features Economy Mode which lets you conserve fuel. You will be compensated for the runtime with the power output. The generator uses a recoil start to power itself. This is a downside according to me after seeing the price range of the unit and the functioning engine size. It has two outlets of 120 volt and one outlet for 12V (DC) for charging the batteries. Hyundai HY2000siCa Generator delivers a lot of power to the crucial devices of home. It is fuel efficient generator with a big gasoline tank and efficient output. The generator can even power up the larger home appliances which is great. The noise it makes is just above the normal conversation noise (65 decibels). It is not particularly quiet but bearable. Extremely portable generator with 71 pounds of weight and a portable handle. If you calculate the price, you will see 3.3 watts of power output for a dollar you spend. The size is a bit big for it to be a portable generator. Recoiled start doesn’t quite fit in to the scheme seeing the engine size. This generator cannot be used for all the machines yet delivers satisfying results. Out of the many portable generators in the market, Hyundai HY2000siCa is by far one of the best if not the best considering the customer reviews. To use the portable generator correctly, you need to first understand what it can or cannot do. Compared to a Yamaha or a Honda generator of the same power level. This one functions better and is priced better too. I’d personally give it 4 out of 5 stars after using this generator for 3 years now.